Guest post by author Justin Woolley, book-release buddy! 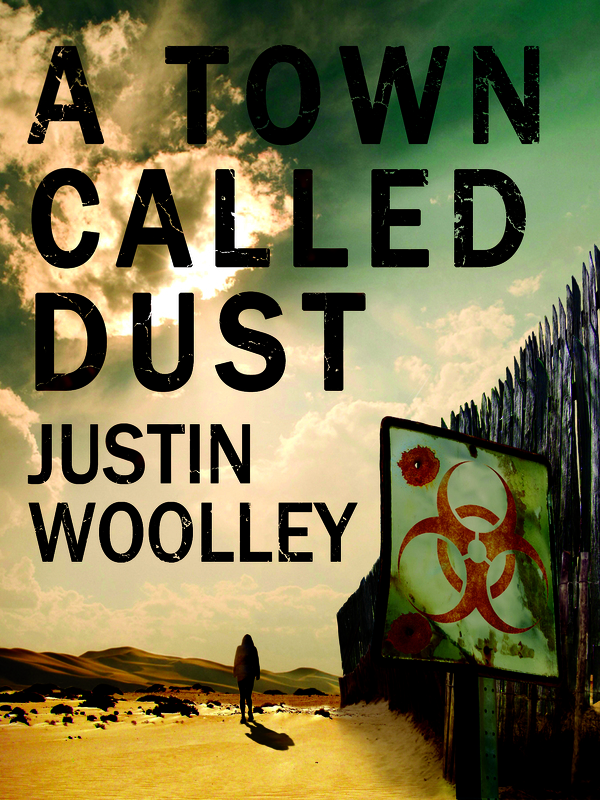 Today, my blog features a special guest–fellow Momentum author Justin Woolley, who’s also my book-release buddy, as his debut novel, a dystopian YA novel titled A Town Called Dust, comes out tomorrow, along with my own Trinity: Koldun Code. Stranded in the desert, the last of mankind is kept safe by a large border fence… Until the fence falls. Squid is a young orphan living under the oppressive rule of his uncle in the outskirts of the Territory. Lynn is a headstrong girl with an influential father who has spent her entire life within the walled city of Alice. When the border fence is breached, the Territory is invaded by the largest horde of undead ghouls seen in two hundred years. Squid is soon conscripted into the Diggers – the armed forces of the Territory. And after Lynn finds herself at odds with the Territory’s powerful church, she too escapes to join the Diggers. Together Squid and Lynn form an unlikely friendship as they march to battle against the ghouls. Their journey will take them further than they ever imagined, leading them closer to discovering secrets about themselves, their world, and a conspiracy that may spell the end of the Territory as they know it. Wow–that’s some set-up! Over to you, Justin. We’re all ears! Inspiration for a book is a funny old thing. It never hits you as one fully formed idea; at least it never hits me that way. For me it’s more like that scene in Jurassic Park where Robert Muldoon, the park game warden, is facing off against the velociraptors. The ideas all sneak up on you and ambush you from different directions sometimes leaving you quite surprised. “Clever girl…” That’s how it was with the inspiration for my debut novel A Town Called Dust, a dystopian young adult novel set in a post-apocalyptic version of the Australian outback, inspiration came at me from many directions. I was working as a teacher at the time and that was probably the main reason I started writing for young adults. I saw that it was particularly difficult to engage boys around the fifteen and sixteen year old age bracket in reading so I set out to write the type of book I had personally enjoyed reading at that age. It would be one with action but also strong characters, not just in the general sense but a strong sense of the characters as teenagers mirroring their feelings and concerns about the world. Also zombies. It was going to have zombies. I reflected on the books I had read when I was a young adult myself and one that really stood out was John Marsden’s Tomorrow series. This made me realise more and more that I wanted to set the book in Australia. I can remember that feeling of being a teenager and reading this book series that was set in my home country. 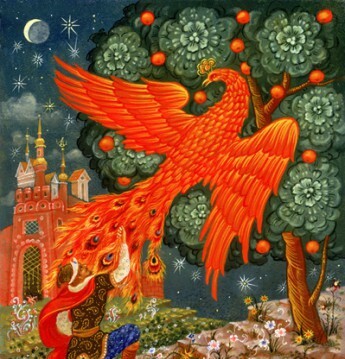 Here was this action-filled story taking place in a setting familiar to me. For whatever reason there wasn’t a lot of fantasy or science fiction, the genres I read the most, set in Australia. While I think A Town Called Dust has appeal to anyone living anywhere in the world, both teens and adults, I really wanted to capture this feeling as a special kind of buzz for an Australian young adult audience. I’ve always enjoyed post-apocalyptic fiction. I think it gives authors and readers a chance to ponder the question of whether, if all the rules were changed or even completely taken away, who do we become? Are humans just animals that will do anything to survive? Will our morals prevail? What will the new civilisation we build look like? I had wanted to write a dystopian novel for a while and this idea met with the idea for setting the book in Australia and they liked each other so much they decided to hang out. I’ve spent some time out in the Australian desert. It’s a vast landscape that stretches flat and empty as far as you can see in every direction. In some ways it’s spectacular, in others it’s daunting and frightening. It’s a place that really makes you feel as if you could be the last person left on a scorched world. It’s the perfect setting for a post-apocalyptic wasteland. The idea to use the Australian desert as the setting became an important inspiration for much of the book, not just the setting. The atmosphere of the book, the words and feelings I use in describing people and places, character names, even the fact that the zombies in the book crave water rather than brains, all this comes from that feeling the outback desert evokes. There were other fragments of inspiration that came together of course, some old and some new, the name Squid, dirt-farming as a way to survive in a harsh landscape, the fact that using a fence to keep zombies out also seals people in. Together with the idea of a post-apocalyptic Australia all these things started to fall into place. The result, after the years it takes to turn these scattered fragments into a book, is A Town Called Dust, a story about the friendship of two characters as they are drawn into the battle to save the last remnants of mankind but also a story in which the main inspiration, the sunburnt Australian desert is a character in itself. 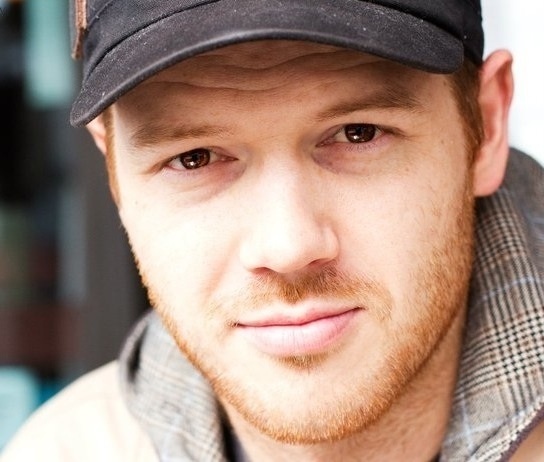 Justin Woolley has been writing stories since he could first scrawl with a crayon. When he was six years old he wrote his first book, a 300-word pirate epic in unreadable handwriting called ‘The Ghost Ship’. He promptly declared that he was now an author and didn’t need to go to school. Despite being informed that this was, in fact, not the case, he continued to make things up and write them down. A Town Called Dust, Justin’s debut novel will be published November 13th, 2014 by Momentum Books. In his other life Justin has been an engineer, a teacher and at one stage even a magician. His handwriting has not improved. You can find Justin’s website at www.justinwoolley.net or on Twitter: @Woollz. You can buy A Town Called Dust here.